Big news! 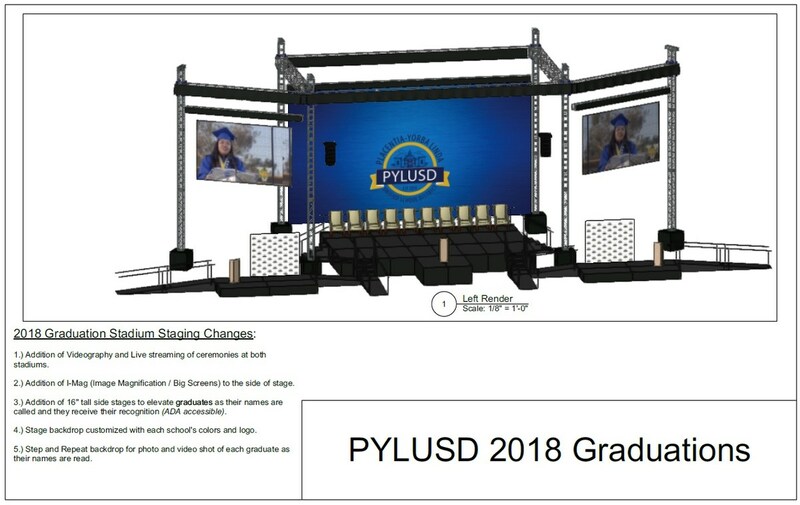 The entire "visual" system at Shapell Stadium is being upgraded for graduation, including the addition of I-Mag video screens, 16" elevated side-stages for students to receive their diplomas, multi- camera live stream (that we will archive on YouTube for later viewing), customized stage backdrop for each school, etc. 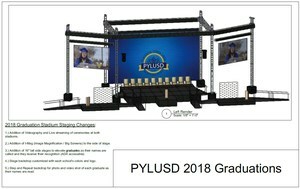 The district has really upped their game to deliver an improved graduation experience for our Mustang families. 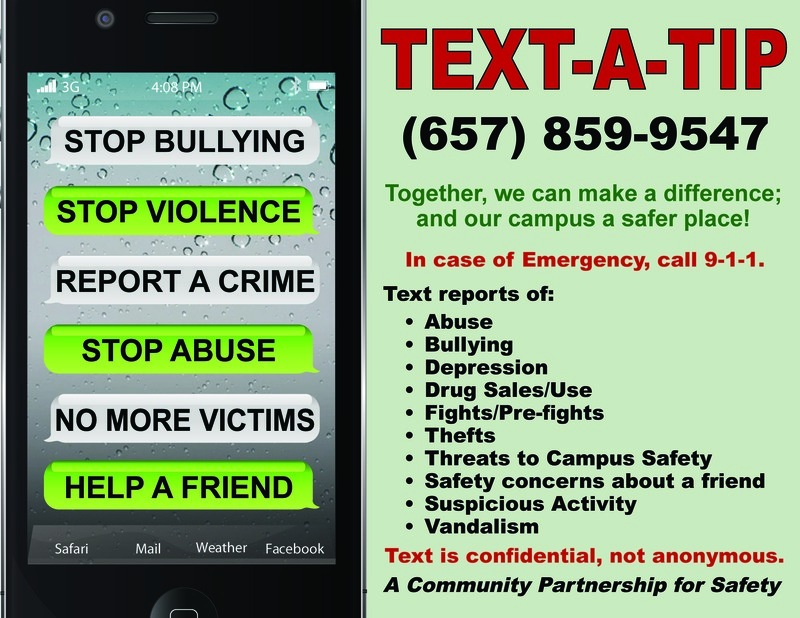 Click for more info!